It is one of the great love stories. Many people, including Rami Malek who played Freddie on screen, had not realised the depth and beauty of the bond between the Queen icon and the woman he called the “love of my life.” Mary remained devoted to Freddie, even after he confessed he was gay and they both had other relationships. But even the start of their love affair was not quite as simple as people think, although it turned into a lifelong “marriage” of soul mates. Although they moved in together with months of dating, though, Mary revealed in a rare interview that she did not fall in love straight away. 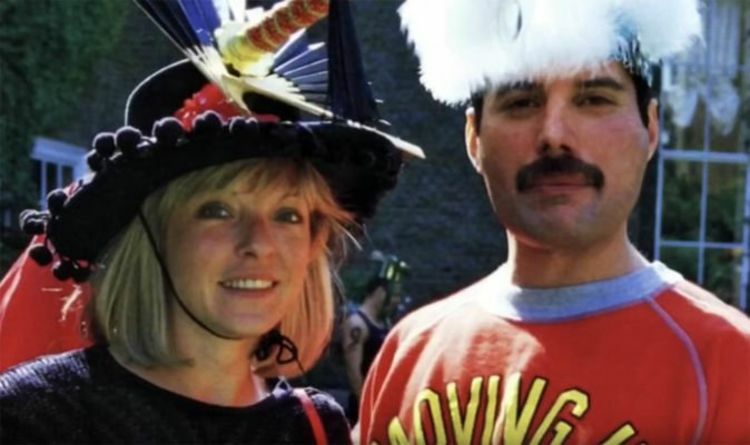 Mary has always been beloved of Freddie’s fans, often talking to them outside Freddie’s house, where she still lives. She explained why he had such a profound effect on so many others. Mary said: “I think he also did that to a few million people outside too. That’s why I think the fans continue to feel the way they feel about him. Freddie, as always, put it best in his own unique way in one of his most famous quotes. Even after he died, he trusted Mary like no-one else. In accordance with Mercury’s wishes, Mary Austin took possession of his cremated remains and buried them in an undisclosed location. The whereabouts of his ashes are believed to be known only to Austin, who has stated that she will never reveal where she buried them.